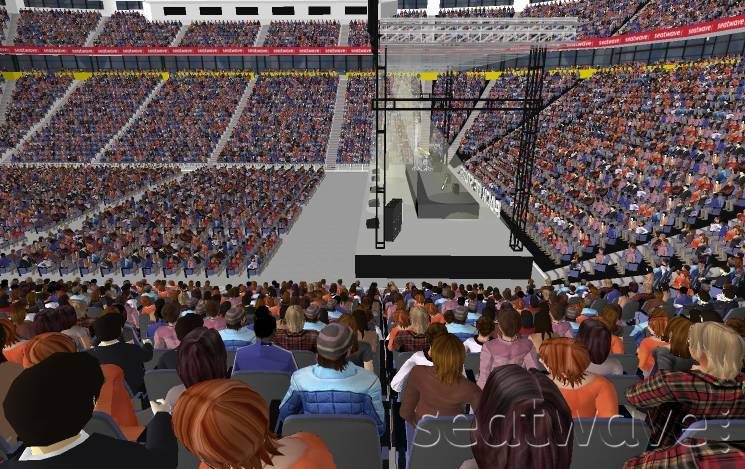 This is the view that you will get from Seat Block 116 at Manchester Arena. It's just to give you an idea of what you can expect. Your view may be different depending on which seat you are sitting in. 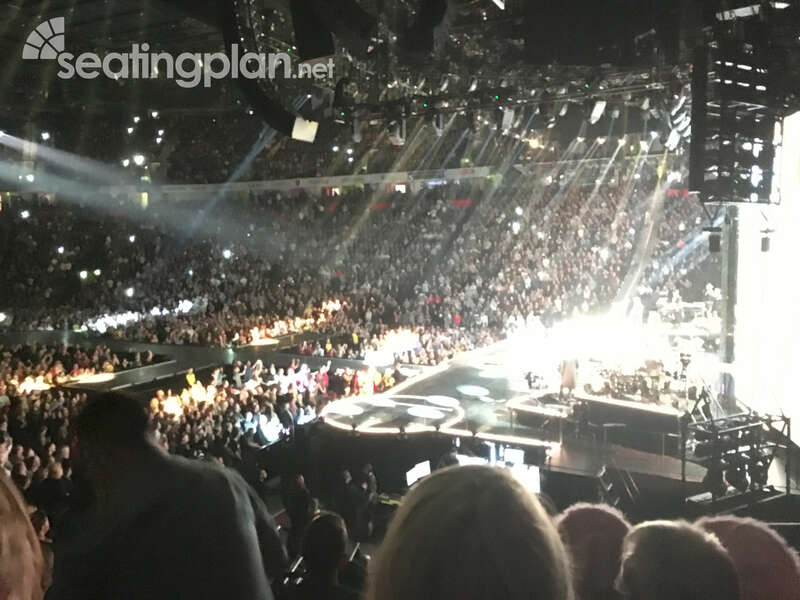 If the view of events from Seat Block 116 at Manchester Arena isn't quite right for you, then why not try Seat Blocks 117, 115, 118, A or 119 which are the closest blocks to Seat Block 116. You are very close to the artist with a side on view. This does sometimes mean you are watching her back. During some parts of the show a large stage prop would block your view momentarily. It also had the amusing affect that when the choreography hid the artist (Madonna) from the audience we could still see her hiding behind her dancers. We could also see her ducking down into trap doors which most audience members would not see. You can still see the large screen which is right above your head (not pictured) but as you are behind the screen the image is reversed (you only notice this when the camera shows audience members holding up banners and the text is the wrong way round). There was a large video screen behind the artist (pictured) with different videos on, you cant see a lot of this during the show. If you have sat in Seat Block 116 at Manchester Arena, why not click the stars to leave your rating to let other visitors know what to expect!